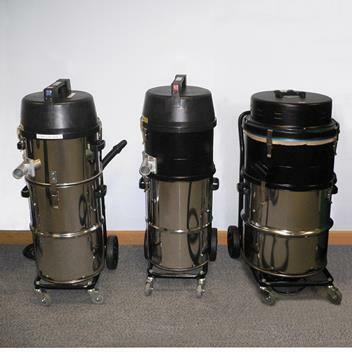 The ‘Woodwork’ range can be used for local extraction or cleaning in woodworking shops and the ‘SwarfVac’ range is ideally suited to cleaning down machine tools or sumps. The CV200 and CV90 are widely used in the workshop environment thanks to their large capacity and high volume airflow. 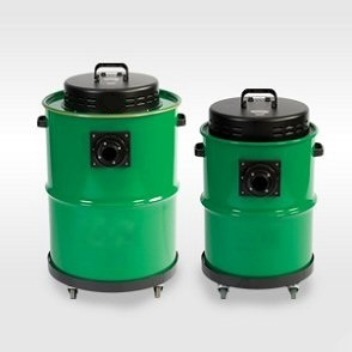 They are particularly well suited to woodworking and other applications where dry, coarse lightweight debris needs to be collected. The SV45 is designed to pick up engineering coolant (suds) and metal chippings (not spirals). The drum contains a perforated steel basket to hold the chippings/swarf. When the basket is removed the coolant runs out and can be easily emptied. The ‘C’ version incorporates a cyclonic head and is used where the coolant has been largely drained. Whilst the ‘W’ version is designed to extract coolant and swarf and is fitted with a drain hose and stopper.